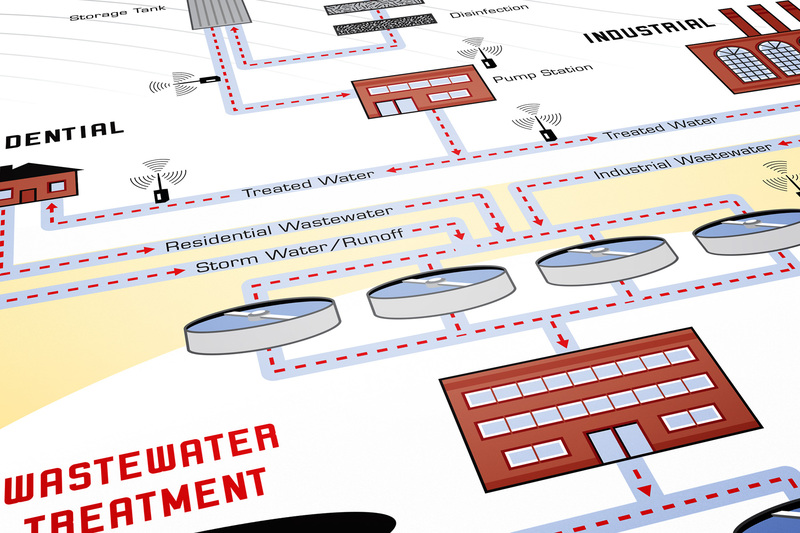 Meriam Instruments wanted to graphically demonstrate the possible applications for the use of their wireless technology in a Wastewater Treatment facility. 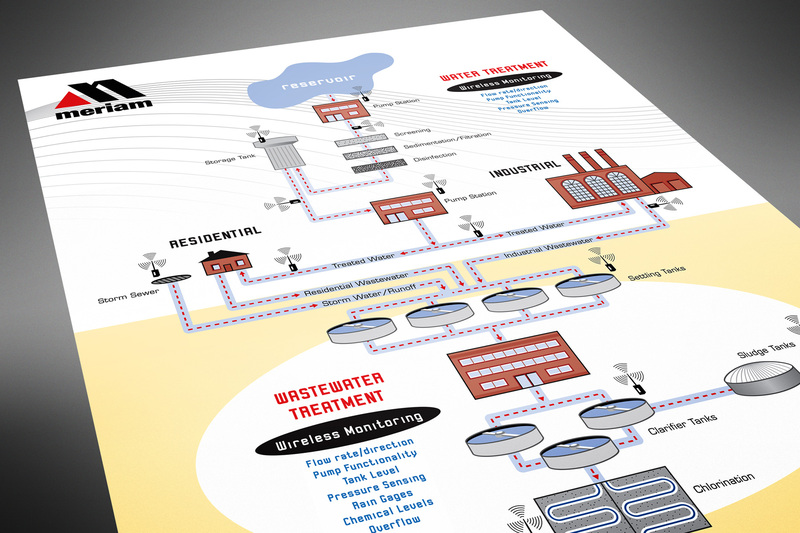 We developed this vector illustration to effectively and simply provide an overview of the facility’s processes. We then added the client’s wireless instrumentation in use at several different points to highlight the benefits of the technology implementation.